TCRNo6 will start once more on the now familiar cobbles of the Muur van Geraardsbergen at 10pm on the evening of Sunday the 29th July. "The welcome and reception we received from the city and the people of Geraardsbergen last year was humbling indeed. The charged atmosphere in the square as we all remembered Mike, holding our collective breath before commencing our adventures, was something we will never forget" says organizer Anna Haslock. The cobbles and torches have become an icon of the start. 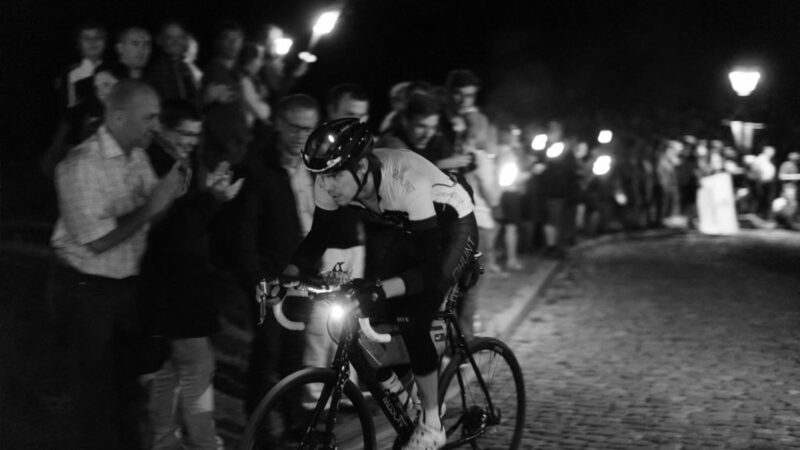 At 22:00 the race will begin with a parade circuit starting in the marketplace in Geraardsbergen while spectators make their way up the Muur with lit torches. After a neutralised circuit the race will be on and riders will complete one climb of the de Muur under race conditions before following their own route towards Greece.